Ultrasound Cavitation + Radio Frequency for Cellulites and Skin Tightening. Ultrasound Cavitation is one of the most advanced system for cellulite removal and skin tightening. Ultrasound cavitation breaks down fat cells. Cells are metabolized through body's natural removal process. Ultrasound cavitation is a non-surgical and non-invasive procedure. It does not require injections, anesthesia and no-down time. It is a perfect treatment for removal of fat and cellulites. It is used for belly, thigh, arm, chin and back fat. Tri-polor Frectional Radio Frequency is a non ablative treatment for skin tightening. It does not damages outer layer of skin [epidermis] but stimulates Elastin and Collegen production in inner dermal layer. It re stimulates and contract existing collegen and stimulates fresh collagen production to give healthier, smooth and more youthful looking appearance. RF skin tightening treatment offers easy, comfortable and non surgical way to reduce fine lines, wrinkles, sagging skin, enlarged pores and generally improves the tone and texture of the skin. 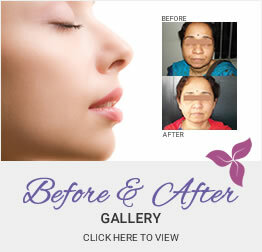 It is great for them who are looking for subtle improvement but not yet ready surgical face lift or want to avoid surgery completely. Ultrasound Cavitation is one of the most advanced systems on today's market. Using Ultrasound Cavitation and Radio Frequency, the Ultrasound-Cavitation treatment allows your body to break down fat cells. These cells are then metabolized through your body's natural removal processes. Unlike traditional liposuction, Cavitation Liposuction uses no injections, anesthesia, and there is no down time making it the perfect treatment for removal of fat and cellulite. Whether you want to remove belly, thigh, arm, hip, chin or back fat, cavitation liposuction with RF is the breakthrough treatment for you! How does Ultrasonic Liposuction or Radio Frequency Cavitation work remove fat from the body? Ultrasonic Cavitation is also known as a non-anesthesia based method of liposuction. Ultrasonic Cavitation abolishes stubborn fat cells by consuming low rate sound waves. The shuddering of progressive and unenthusiastic alternation of sound waves harvests a strong compression to fat cell membranes. As a result, As the fat cell membrane can no longer survive this pressure, it will collapse into a liquid content. Following disturbance of fat cells in the body, the destroyed fat in the form of triglycerides may be liberated into the interstitial liquid amongst the cells, wherever they may be enzymatically absorbed to glycerol and unrestricted fatty acids. Water-soluble glycerol can be engrossed by the cardiovascular system and utilized as the vitality source, however the insoluble free fatty acids may be transferred to the liver and handled as fatty acids from the food. To schedule for a free consultation be sure to call Vanity in Miami, Broward or even Hialeah. The consultation will regard to all unanswered questions can be answered and we can relieve you from the stress. We would never offer a procedure that was not safe for patients. Ultrasound Cavitation Liposuction, thankfully, does not require any anesthetics and is known to not cause pain either. Ultrasonic Cavitation is a safe procedure as it achieves desired results through a non-surgical and non-invasive method. Nevertheless few individuals may experience some redness of the skin that ought to return to usual within a few hours of the procedure. Treatment is normally considered painless by most individuals. A mild prickly feeling and/or warm feeling may be experienced during the treatment. There are very few recognized side effects as of date, while marking of the skin could be considered infrequent and if it happens will be very mild, some redness and insignificant inflammation may be seen for a very small amount of time after the treatment. Benefits of Lipo-Cavitation through Radio Frequency? Painless and Non-Surgical way to remove fat and cellulite. Reduce fat in problem areas: Thighs, hips, stomach, back, arms, chin, etc. Tighten and tone skin, reduce sagging skin. It is FAST and EFFECTIVE. Start seeing results after just ONE 30-50 minute session! How long are individual treatments and how many would I need? The treatments last about 30-50 minutes each and we recommend doing them every 72 hours to allow ample time for the fat to expel completely from your body. While you very safely take up to 12 sessions, most clients will do anywhere between 8-12 before achieving their desired results. Instant and long-lasting outcomes of cavitation treatment after the first treatment, clients familiarize a decrease of numerous cm in perimeter and additional results after the next trip and longer. Age, absorption, variations in hormones, medications, tissue structure and handling area will have an influence on the results. To continue the results it can be important to shadow a well diet and exercise regularly. Habitually outcomes may be visible with the first sitting but will progress further over the course of six treatments. We will assess the final results after finishing your initial bookings. All-out results involve at least six to twelve treatment sessions per part reliant on your size. Nevertheless we find most consumers will lose one to three inches after only one treatment. These results may not be certain and will depend on the patientâ€™s response to treatment and area being preserved. Outcomes can be seen after the first handling with more substantial improvement noticed within a few days. Each treatment figures upon the previous treatment. The fat cells treated with Ultrasound Cavitation Lipo will not return or re-grow, so that may be a enduring conclusion. Nevertheless, the length of time that the body shaping will last for varies in the patientâ€™s hands. How far you eat and how much workout you take will also affect your long-term frame shape. So if you take in more calories than you normally use, your weight and fat will upsurge and the continuous removal of fat cells from your procedure may be concealed by weight gain. Recommendations to follow before an Ultrasonic Cavitation procedure. It is important to shadow a low calorie diet and to drink eight cups of water daily before and after the procedure. Fat removal can be hastened by the quantity of water you drink; water is a key component to remove the dissolved fat from the body. Do not consume alcohol starting three days before the session. Avoid greasy food, anything deep fried or spicy for at least three days prior to your session. Hydrating yourself is important, drink at least one and a half liters of water each day for 3 days before the session. Is advisable to drink one liter of water in the period of 2-3 hours immediately prior to the procedure. Recommendations to follow after an Ultrasonic Cavitation procedure. After the treatment you must avoid any kind of alcoholic beverage for a minimum of three days. Stay hydrated with fruit fluids and plenty of water, eight cups daily. Keep a low calorie intake with a well balanced diet to guarantee maximum results.